Heilbronn, February 2018: beyerdynamic will be introducing the new tour guide system Unite at this year’s Integrated Systems Europe from 6 to 9 February 2018 in Amsterdam. The traditional company from Heilbronn is adding a talkback function for the first time, which will provide the system with additional potential uses. A versatile range of components, simple setup and DSP control to optimise speech intelligibility make Unite the perfect solution for many different scenarios. A special feature of the Unite system is the talkback function – the ability to speak into the system itself using a receiver. This makes for significantly more modern guided tours, as visitors can ask questions and interact with the tour guide and other visitors. Guest speakers can also be seamlessly integrated using Unite – up to three people can speak at any one time. Even the use of whisper interpreters, who provide simultaneous translation of the main speaker, is easy to achieve. Unite functions digitally and is thus practically noiseless. Speech intelligibility has been perfected by means of an integrated audio processor. This results not only in an optimised frequency curve for the right sound, but also in a consistent volume thanks to the Automatic Level Control – it doesn’t matter whether the guide is speaking loudly or quietly, whether the microphone is near or far away. Noise cancelling means unwanted background noise is actively and effectively blocked out. beyerdynamic Unite is suitable for both smaller setups as well as large systems. Over 32 groups can be provided for in parallel. 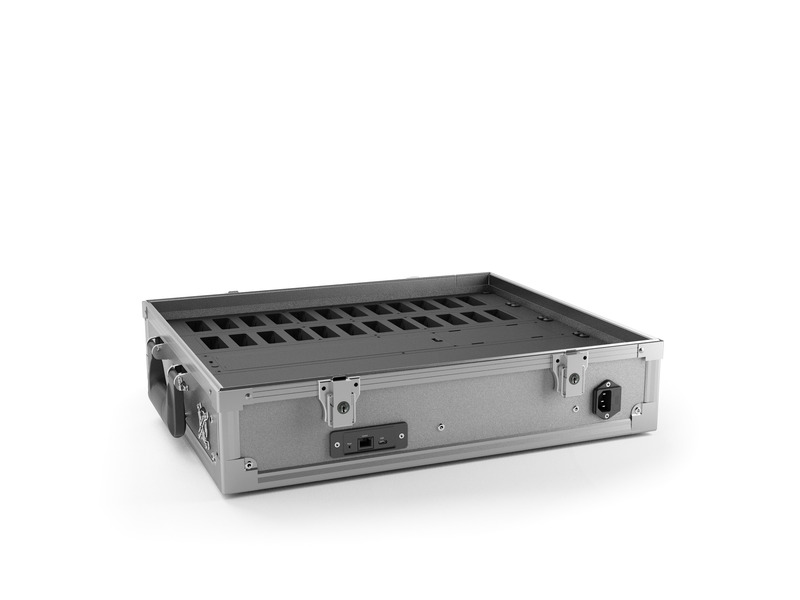 Here Unite itself configures frequency distribution to guarantee reliable transmission. Thanks to the wide operating range and the high-performance long-life rechargeable batteries, the system is particularly resistant to outages. DECT standard ensures use of Unite without approval or licence fees, meaning it can be used almost anywhere. Unite can be specially adapted to user-specific requirements thanks to its various components. A handheld transmitter provides a traditional starting point for the speaker. Furthermore, using a bodypack transmitter together with a neckworn microphone or headset will free up the speaker’s hands. There are several options for listeners, too: along with the normal Unite RP bodypack receiver, the Unite RP-T with its talkback function supports the interaction of the audience and speaker. Headphones, single-ear headphones or an induction neckloop for visitors with hearing aids or cochlea implants are available for signal playback. 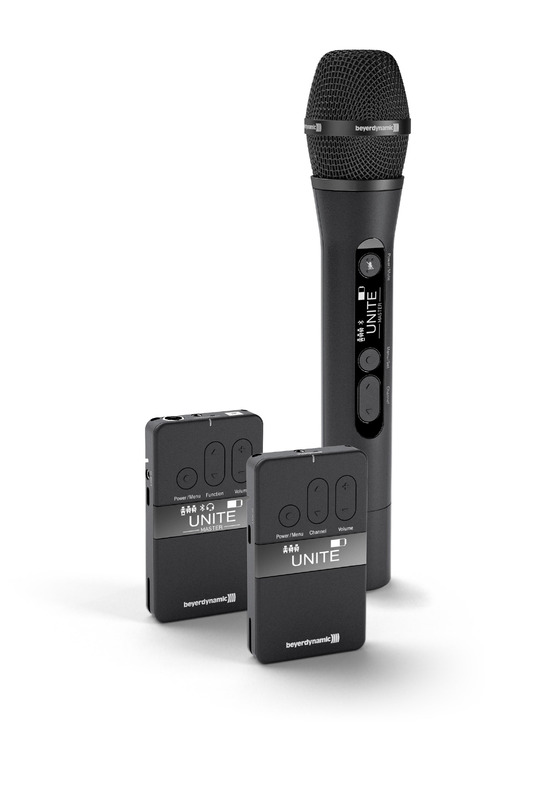 The Unite system doesn’t just transmit microphone signals, it is also capable of connection to other audio sources. This allows music players or pre-produced speech recordings to be seamlessly connected either from analogue sources, via USB or even via Bluetooth®. AES-256 encryption also make Unite tap-proof. beyerdynamic will be presenting Unite for the first time at Integrated Systems Europe 2018 in Amsterdam. Trade fair visitors will find beyerdynamic in Hall 1 at Booth M100 from 6 to 9 February 2018.